For those of us who haven’t been stricken with the #wanderlust bug (or simply don’t have the means), let’s be honest: The prospect of travelling is daunting. There are a hundred different things on your mind, of course, but we’re ALL united in that age-old girl prob: How do I know how much to pack? If you’re anything like me, you are constantly over- and under-packing … and still somehow never prepared for all eventualities. Womp womp. It’s hard to be a woman and travel. We like to have options, and multiple shoes to match. And then there’s the beauty routine, which we can’t just leave behind while we are on vacation. It’s even harder to pack when you are going somewhere for work and you’ve never been there before. Is is humid there? Does it rain ALL THE TIME? Do people wear shorts to work? Ah yes, the packing predicament can be mind boggling. Fear not, darlings. While you may not be Beyonce, and you don’t have a traveling entourage to help you do your hair, pick out clothes, and fix your makeup, we’re glad to say that now you have some LD advice, which—let’s be real—is just as good. All those bags that came with your free gift at Clinique are about to come in handy. Some people need to keep all the bathroom things together, and that is totally OK. 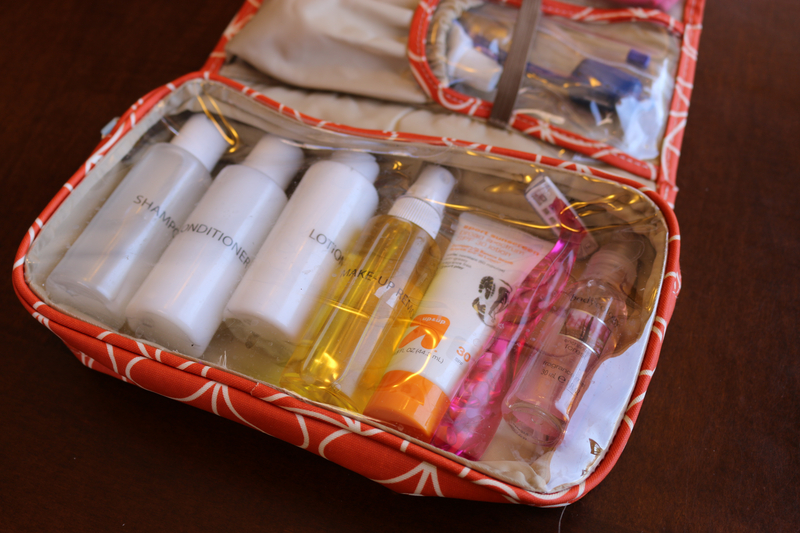 I, however, have found it easier to break up my toiletries into smaller bags rather than lug around one of those big caboodle cases from the 90s. My make up bag can go with me on a plane (in case I need to retouch), the shower stuff stays in one, and the toothpaste and contact stuff is separate in case I leave my glasses on or need to brush after lunch. Orla Kiely for Ulta (pictured, below) have some adorable, bright designs that match, too, for all you OCD ladyfolk out there. I know that my make up routine probably seems almost comical at times, but it’s taken a long time to get a system down, and when I travel it all goes out the window. I put on cover-up (for my circles—sleeping on planes is not productive), mascara, a spot of eyeliner, color my brows, and maybe some Chapstick. I know that many of you would rather look your best all the time, but you know your essential areas to cover, and as long as you think you look nice I say go with the quick version. No need to stress about impressing people in an airport. This goes for jewelry as well. Pack your favorites that you won’t spend the day trying to fix or adjust. They might not be a perfect color match to your skirt, but you don’t always have to bat .300. Happy Travels! Tweet us your travel tips @litdarling!